Due to being part of the Ongame Poker Network since 2006, BestPoker was able to increase the amount of players considerably which is very helpful for you as a poker player when looking for the table of your preference. This change of networks also helped making BestPoker a household name in international online poker after having been famous in Scandinavia for some time already. BestPoker enjoys a great reputation and is being held high among serious online poker players - and not just because of their huge poker bonus offers. The skill level on the medium to high limits should not be underestimated - however you can still make a nice profit if you are an experienced player. The lower limits, as is the custom in nearly every poker room, are usually filled with lots of fishes. BestPoker offers a lot of different bonus variants for your first deposit, starting at $50 and going up to a staggering $2,000 - there is something for every type of player. 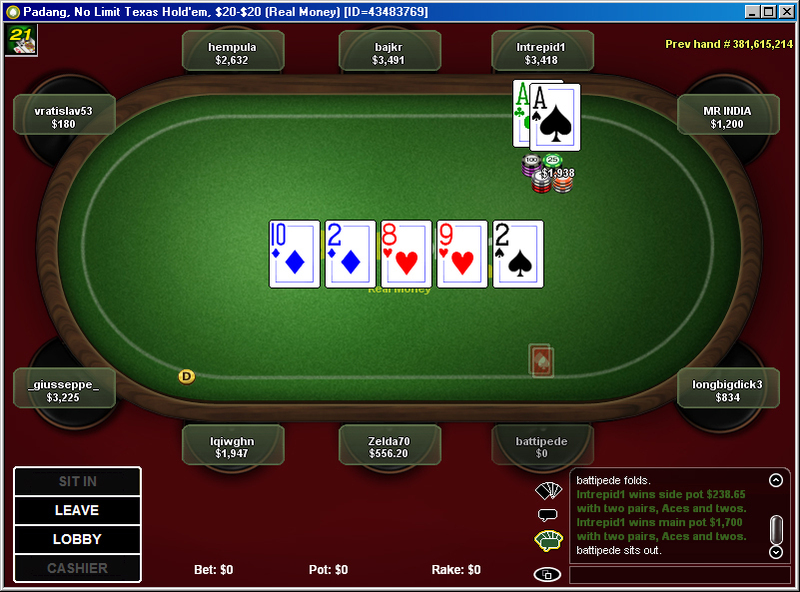 Additionally to that BestPoker offers numerous promotions. If you are part of the VIP Club (which you already are when earning 1 point a month!) you will qualify for a lot of special offers and further promotions. Since the middle of 2009 all the poker bonus offers at BestPoker have become claim bonus offers. Claim bonus means that regardless of your first deposit you can choose whichever bonus you prefer (and think you can clear in time). All the poker bonus offers have furthermore been changed to incremental bonus. The steps vary with each bonus option and can be as small as $10 up to a big $1.000 step. Another difference between the bonus variants are the deadlines for clearing the respective bonus. Due to the many different poker bonus options offered by BestPoker we urge you to take a close look at our detailed poker bonus page in order to find the variant that is most suited for you. 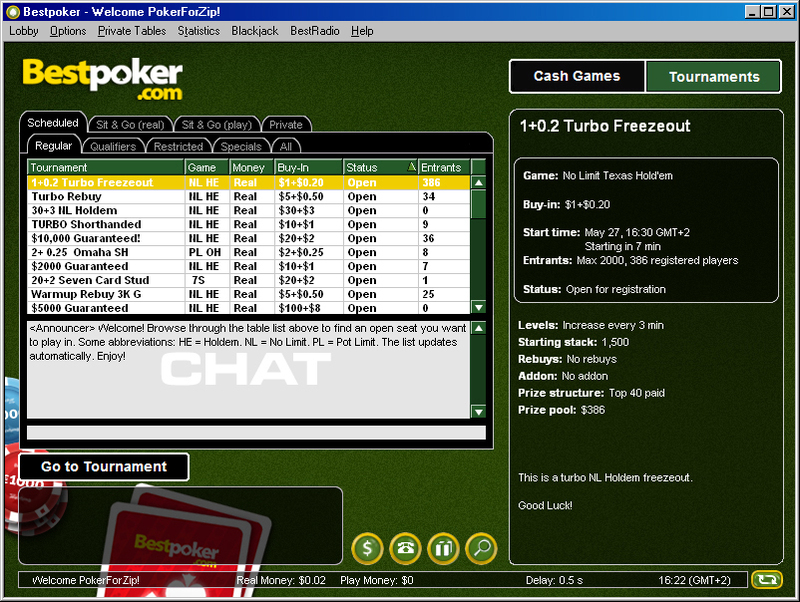 You can choose to play either using a download client (Windows) or simply via your browser so nothing should stand in the way of you enjoying a nice game of poker no matter where you may be. The software definitely is one of the best in the industry and proves to be very reliable. When playing in a browser you will not have access to all the features available in the download client but it is still one of the best browser solutions we have come across so far. The interface for both versions (browser and downloadable client) is simple and straightforward. A slight drawback with all the simplicity is the apparent inability to implement features like depositing or withdrawing money right in the client. When clicking on the according button you will only be directed to the BestPoker website. We were actually expecting this function to be integrated into the client. While the lack of this function hardly seems necessary it is merely a minor annoyance. If for any reason you need to contact the support you can do so using phone, chat or e-mail. The support is known to be competent, friendly and very quick.